Asked whether he regretted the cut-throat, borderline condescending, comments he has become infamous for, he said: “I’m going to be a lot more careful with my choice of words, the small phrases. His sharp tongue fuelled a “trial of humiliation,” he admitted, before adding that “in the system we live in, this blunt honesty may no longer be possible my status as president makes these comments asymmetrical”. After repeated gaffes, patronising remarks to the working class and a habit of only listening to his closest associates, Mr Macron has come to be seen as an arrogant and patronising head of state. Early in his presidency, he sparked outrage by suggesting French workers are “lazy” and called the critics of his labour law reform “slackers”. He also scolded striking workers for “kicking up a bloody mess”. He also recently urged French citizens to “moan less,” complained France spends a “crazy amount of dough” on social welfare benefits and described the French as “Gauls who are resistant to change”. 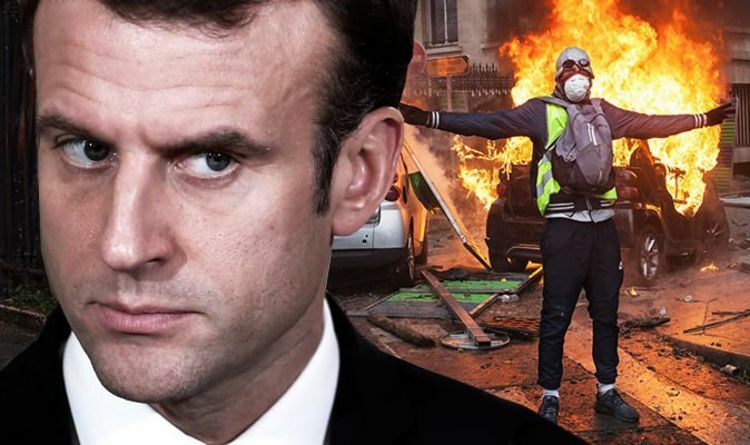 Mr Macron then commented on the yellow vests, the most serious crisis of his presidency, expressing cautious support for the citizen-led rebellion. The grassroots movement – named after the luminous road safety jackets all French motorists must keep in their cars – began in mid-November as a protest against planned fuel tax increases, but has snowballed into a wider revolt against Mr Macron’s liberal economic policies, widely seen as unfair and pro-rich. But the weekly protests have been marred by major outbreaks of violence and vandalism, prompting lawmakers to clamp down on unauthorised demonstrations and toughen sanctions against so-called “casseurs,” or troublemakers, branded by the Macron government as “brutes” seeking to overthrow the president. But Mr Macron has gone to great lengths to appease the movement that has rattled his presidency and challenged his authority. At the height of the unrest in December, he pledged to cut taxes for cash-poor pensioners and said people on the minimum wage would see their salaries rise by £87.80 (€100) a month without extra costs to employers. Earlier this month he launched a national debate he said would influence government policy-making and “breathe new life” into French democracy. The two-month debate will focus on four themes – taxes, green energy, institutional reform and citizenship. Discussions are being held on the internet and in town halls. Mr Macron will return with his conclusions in mid-April. So far, his efforts seem to be paying off. After hitting rock bottom in December, his popularity rating has risen by two percentage points during the past month, a poll for Le Figaro published on Thursday showed. Some 73 percent of respondents, for their part, said they “didn’t trust” their young president, down two points from last month.